Congratulations to Clay Aiken! 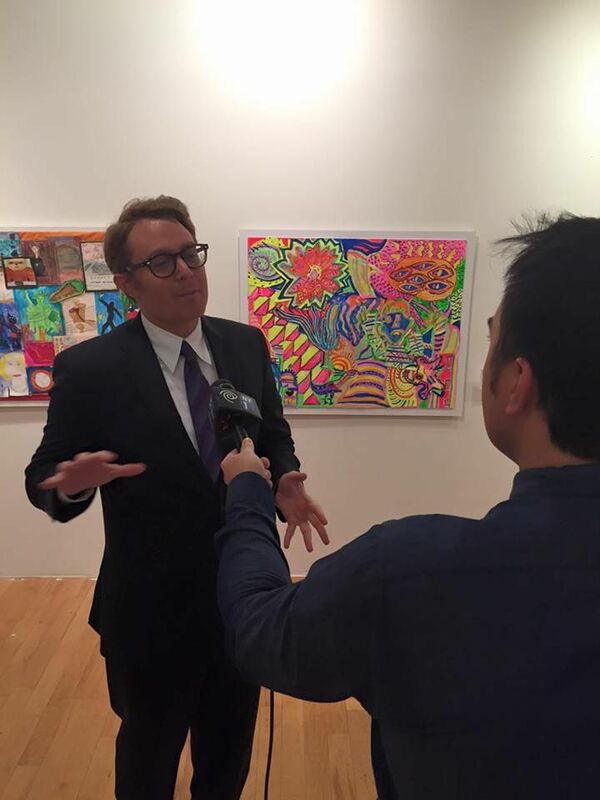 On Tuesday, Clay received the VSA-NYC Art Advocate of the Year Award. 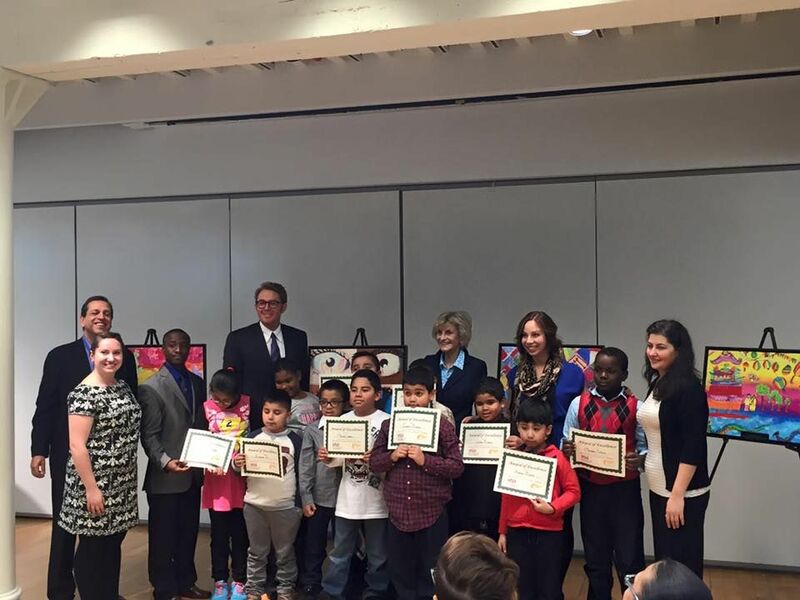 The award was presented by VSA (Very Special Arts) founder, Jean Kennedy Smith. Clay was recognized for his leadership in working with children with and without disabilities. The awards ceremony was held at the Pratt Manhattan Gallery. 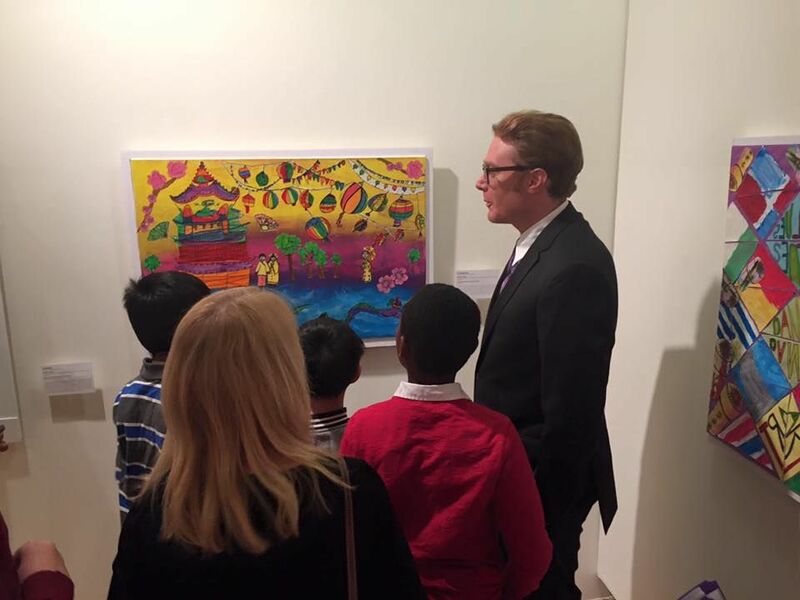 The gallery hosted a wonderful art exhibit that featured the work of NYC Public School children with disabilities. Called “A Year In Pictures, the event was part of VSA’s 40th Anniversary. 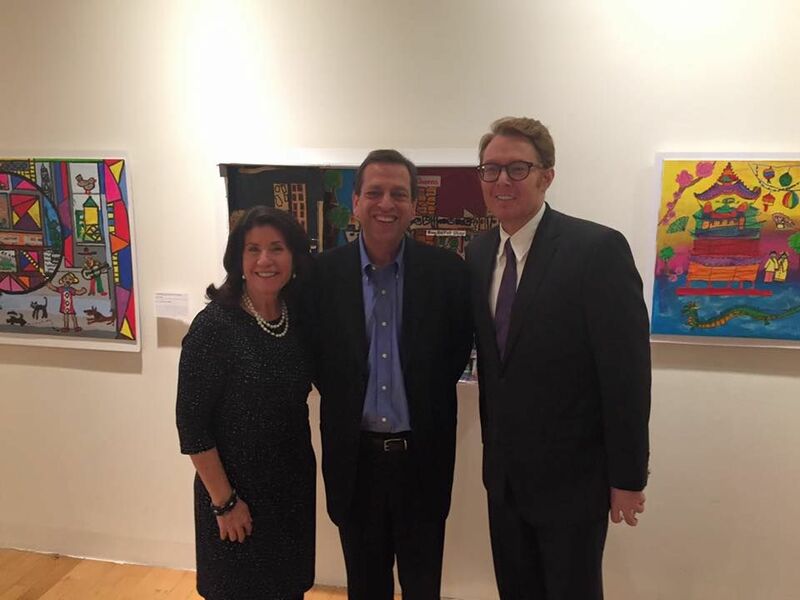 Thank you to the Marquis Studios and VSA for giving all students the opportunity to participate in a beautiful art exhibition and recognizing Clay Aiken for his many years of supporting all kids! The following are a few pictures from the event. Congrats to all for an exciting event! As we all know, Clay is well-deserving of this award! The pictures are wonderful! My favorite one is of Clay with all the children! Thank you, musicfan! Yes, Congratulations to Clay!!! I bet he was thrilled to be there with the kids as well. Always an advocate for kids. By the way…I am loving the pictures!!! Love the colour and life in them. We sure need more of this. Congratulation to Clay. Very cool! I've been away from my computer since 11/17 due to surgery & rehab. How wonderful to open CANN and see this very special honor for our guy Clay. It is so heartwarming to know that Clay is still involved in projects that support kids. Emily…Welcome back!! I hope you are doing better and feeling well! I am so happy to be home and walking on my new knee. Very happy to hear this award to Clay. Error: Error validating access token: Session has expired on Tuesday, 21-Aug-18 16:13:01 PDT. The current time is Thursday, 18-Apr-19 11:28:32 PDT.